Iterative Traffic Assignment – Tuason Software Inc.
Estimating transportation network usage based on an origin destination matrix, calculating and predicting of travel times between nodes or simply simulating the impact of an abnormal event (road closures) – There are many use cases for traffic assignment algorithms. We worked recently with an ITA implementation created by Wherehou.se, which was powered by LBS (Location based services) data, provided by Ericsson. 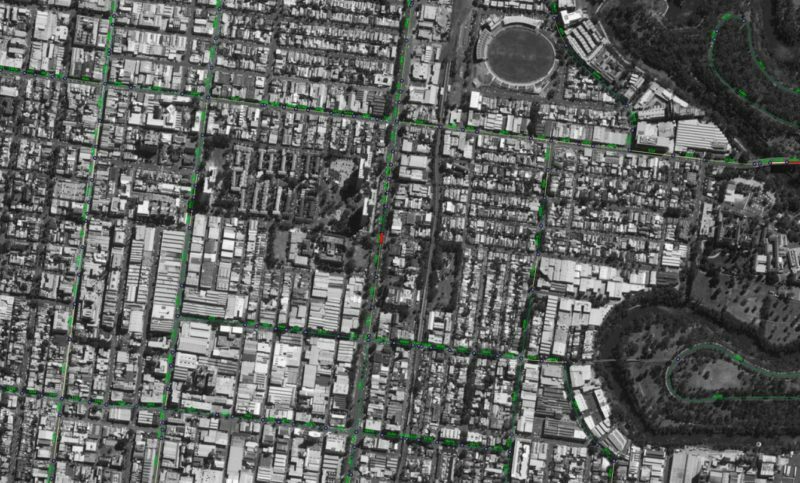 Based on an hourly OD matrix and properly sourced Network metadata, we were able to build Traffic assignments for the biggest Australian cities. The results were validated against Googles typical traffic data and visualised across several different BI Tools as well as a web application, based on SpringBoot and React.js. Currently we are working on our own Traffic Assignment implementation (based on the Frank Wolfe Algorithm) which we will be publicly available as open-source project. If you have the desire to assign your location-based data to a traffic network and visualise the outcome with the latest visualisation techniques, don’t hesitate, get in contact with us and be amazed by the outcomes!